I’m going to stray from the theme of this blog on this very special day- Anzac Day- with an examination of the modern Anzac Day and its relevance to our society. The spirit of our Anzacs can be felt in all kinds of shrines and monuments but would these brave heroes approve of the country we have created? What kind of Australia were they fighting to preserve? What principles were important to the Anzacs and do these values still resonate today? Many would say that our response to the sacrifice of the Anzacs is to appreciate and enjoy the freedom they fought to preserve. We don’t have to look far in today’s world for reminders of what our fate may have been but for the ultimate sacrifice of our forebears. But have we truly created the modern Australia that the Anzacs might have dreamed of? Our society is becoming increasingly secular, focussed on possessions and the almighty dollar. Homeless youth freeze on the streets and we have abandoned many of our most vulnerable citizens. Some of us don’t even speak to our children, let alone our neighbours. We struggle to manage development while preserving our unique environment. While these facts are disturbing, there is no doubt that young people of today have more opportunities in education, recreation and vocation than ever before. 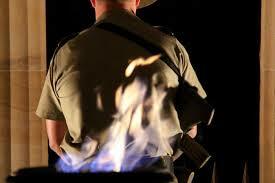 One might imagine that freedom, mateship, fairness and honour were values dear to the Anzacs. Were they fighting to preserve these ideals or were they simply doing their job? Was adventure high on their list of priorities as they headed off to war? Young Australians are making their pilgrimage to Anzac Cove in increasing numbers every year. They travel there for many reasons. Some are seeking adventure; others need to gain a better understanding of the experiences of their Anzac relatives. Still others marvel to find their history lessons come starkly to life. 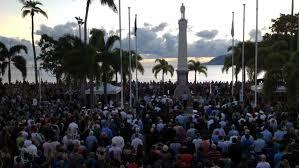 Are their pilgrimages critical to the evolution of the meaning of Anzac Day? Will these young people forge a link with the Anzacs and enable the commemoration to flourish for years to come? If we could speak to the Anzacs today, I think there would be a rage of responses to modern Australia. Our country is very different from the society these young men left. Their sacrifice has given us the freedom to choose and that has come with benefits and challenges. Our chosen path has led to a more prosperous society than any of our diggers could have imagined. Along with our prosperity has come a focus on ‘things’ to the detriment of our relationships. Our world sparks excitement and joy as well as fear and sadness. It is my belief that the Anzacs would find much to be proud of in Australia today. In 2006, Richard Modderman, a student from The Gap State High School, said in his prize-winning essay, ‘A close look at the countless quiet achievers, working either as individuals or as part of a team, illustrates that Anzac characteristics are actively part of our modern day life’. The Anzac tradition lives on in the pride of our men and women serving overseas. Australians still value their mates and their right to ‘a fair go’. While we can stand at our local cenotaph and feel the Anzac spirit in the quiet places of our hearts, their ultimate sacrifice will be remembered and honoured. I didn’t attend a dawn service this morning but I often visit our Townsville cenotaph and relfect on the sacrifices of our soldiers and on their bravery. How do you feel about Anzac Day? ← Author Spotlight and Giveaway: Elise K Ackers. 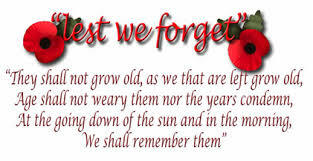 A heartfelt reflection from my wife Bernadette on her feelings on ANZAC day.